The Blossoming Lamp is a hinged, adjustable �desk lamp.�When you pull up on the top, the blossom opens, allowing more light out. This lamp measures 12 x 5.5 x 5.5 inches when closed. 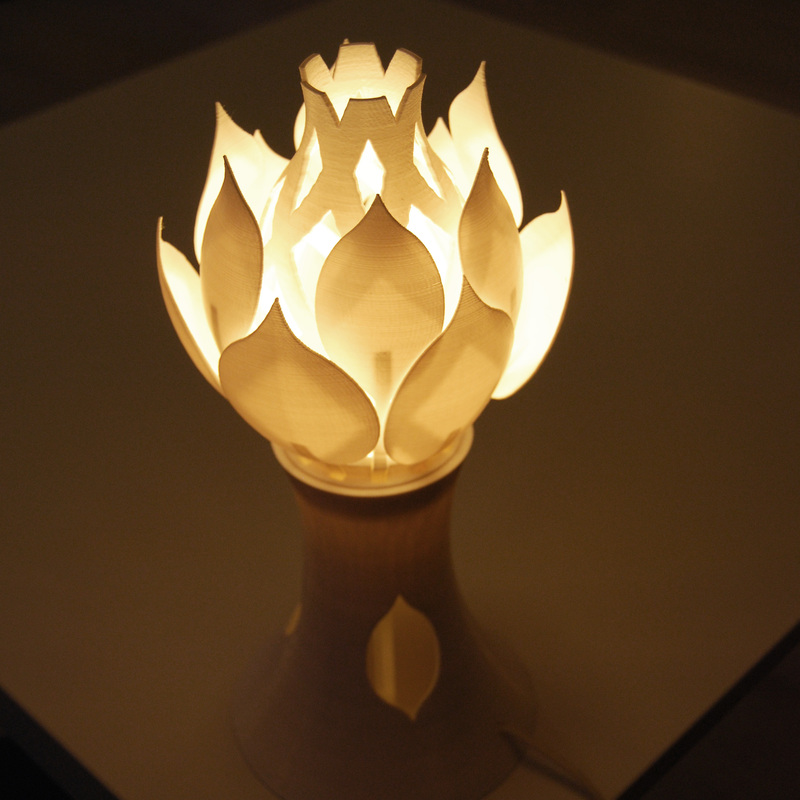 When the blossom is open, the lamp extends to 10.5″ wide. 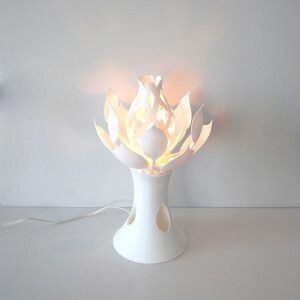 The lamp takes a�120v 7w bulb, which is not included in the listing. 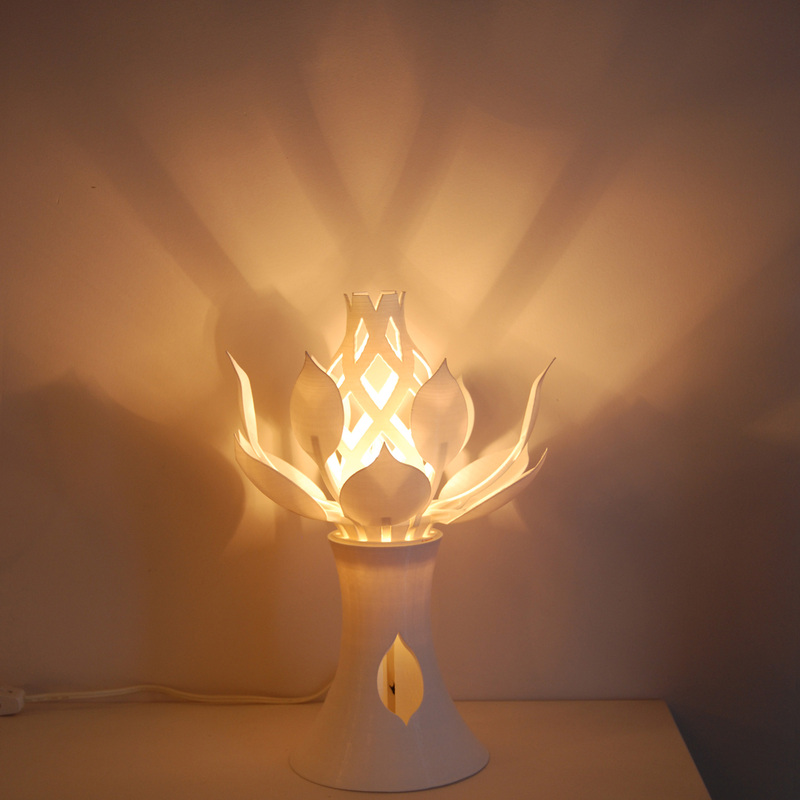 Our Blossoming Lamp was designed by Emmett. 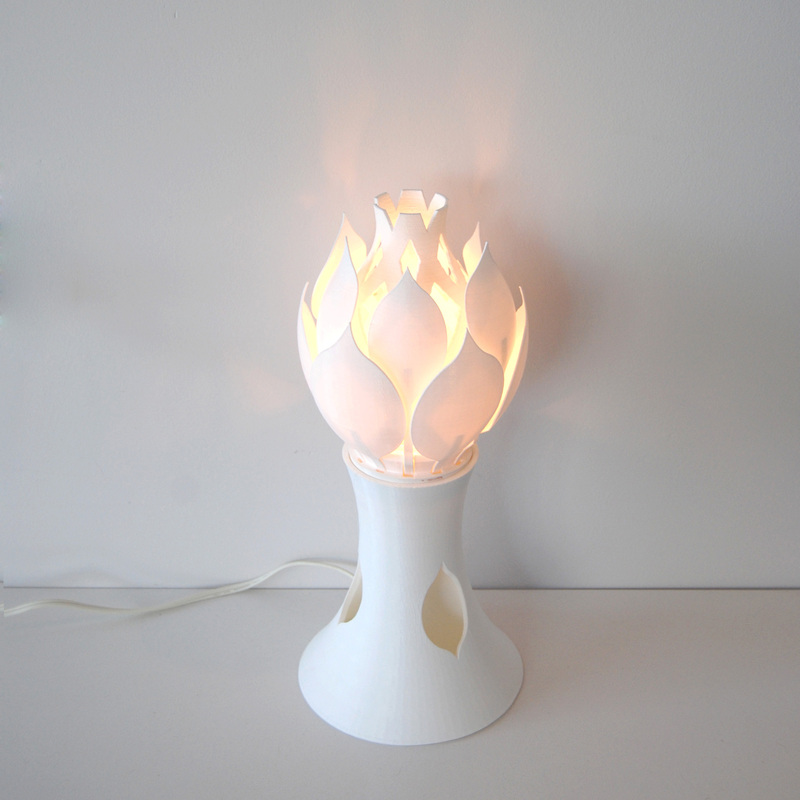 This model can be found on Thingiverse��here�.